Tourist routes are numerous and cover the entire region. Learn more about this city whose wealth of history and architecture have earned it a place on UNESCO’s World Heritage list, and whose art of living is admired worldwide. La Cité du Vin stands like a beacon, watching over the Garonne. Hold the key to the vineyards in your hand as you discover Bordeaux and Bordeaux Supérieur, the reds, rosés, clairets, dry whites, sweet whites, and sparkling wines that each constitute an appellation. Did you know that these wines are produced all across Bordeaux’s vineyards? Explore the very heart of the Médoc, between the Atlantic Ocean and the Gironde estuary. Embark on a quest to discover a thousand and one châteaux, from the most famous to the most discreet. Have you always wanted to know how a great wine was made? To meet the owners of a Cru Bourgeois? To absorb the verdant stillness on the Ile de Patiras? Margaux, Saint-Julien, Listrac, Pauillac, and many more await you. Come to the right bank of the Gironde estuary. Here you will discover a land of rolling vineyards, golden stone villages, Romanesque churches, archaeological sites, and other charming wonders. Experience the magic and pleasure of the land and wines of Blaye & Bourg. Come to the right bank of the Dordogne, to age-old vineyards renowned the world over. Steep yourself in the legendary ambiance of Saint-Émilion, a UNESCO World Heritage site, then continue your travels toward Montagne, Pomerol, Fronsac, or Côtes de Castillon. Whether they harbor famous gems or hidden pearls, the views from these valleys are breathtaking. 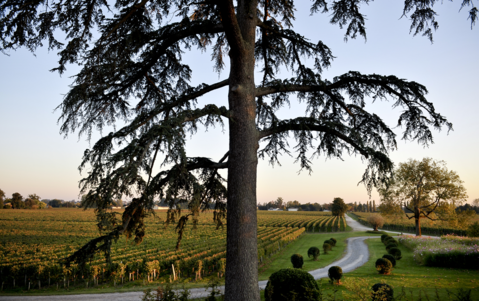 Discover the largest winemaking region of Bordeaux: Entre-deux-Mers. If you're a lover of reds, whites, clairets, and sweet whites alike, if you're entranced by the historic atmosphere of small villages, if Montaigne and Mauriac inspire you, if the splendid La Sauve Majeure Abbey calls to you, let this land sweep you away with its wine-making surprises. Come to the south of Bordeaux, with the Garonne as your guide, its immense pine forests as your shade. Stop at the Château de Montesquieu for an unforgettable experience in the vineyard. Delight your palate with varied pleasures: the potency of reds, the delicacy of dry whites, unless you prefer the livelier personality of the sweet white wines. Pastoral and picturesque. In order to compare the variety of rates, the size of the vineyards and to better understand the richness of the world of wine, Bordeaux Wine Trip, created in partnership with the CIVB (Interprofessional Council of Bordeaux Wines) and the CRTA (Regional Tourism Committee of Aquitaine) an application for smartphone and tablet as well as an interactive website. Nearby enotourist deals can be identified in just a few clicks and the user can organise their stay by creating their own logbook. www.gironde-tourisme.fr and the charter “Vignobles et Chais en Bordelais"
www.tourisme-aquitaine.fr and the label “Destinations Vignobles"
Flutter to the Bordeaux Butterfly Bar this summer! Staying up to date on all the latest Bordeaux news is easy. Become a member today and receive email updates on events coming your way.